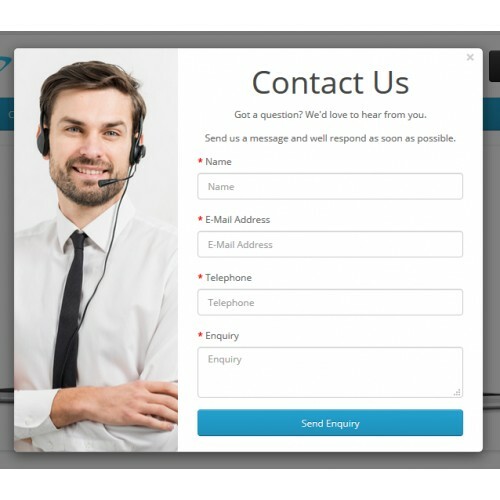 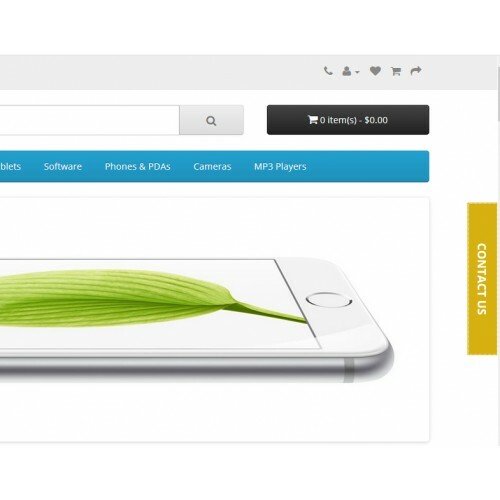 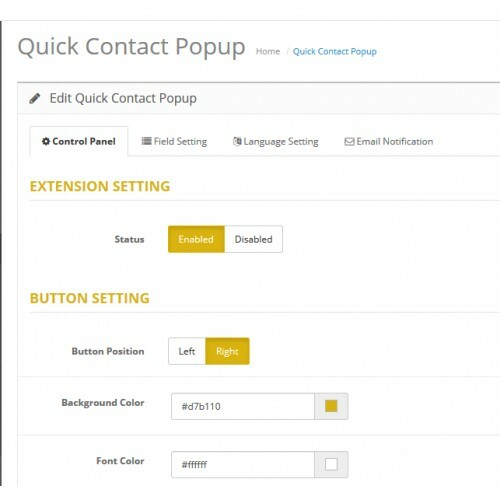 Quick contact allows visitors to contact administrator quickly without going to any other page. 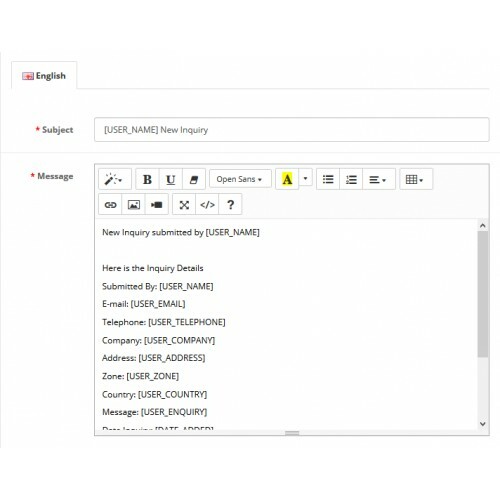 It’s dynamic as well as powerful tool for admin as admin can enable/disable fields for easy contact form. 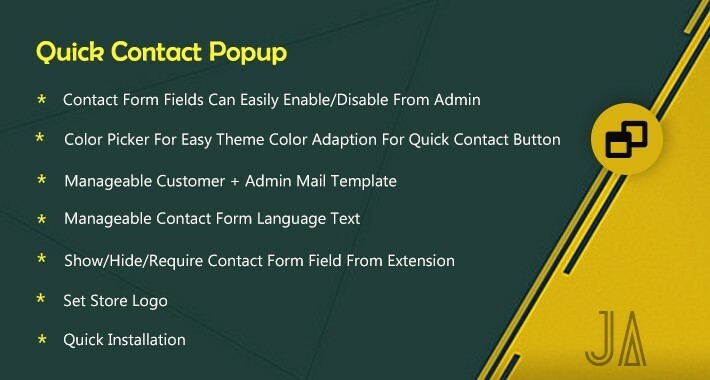 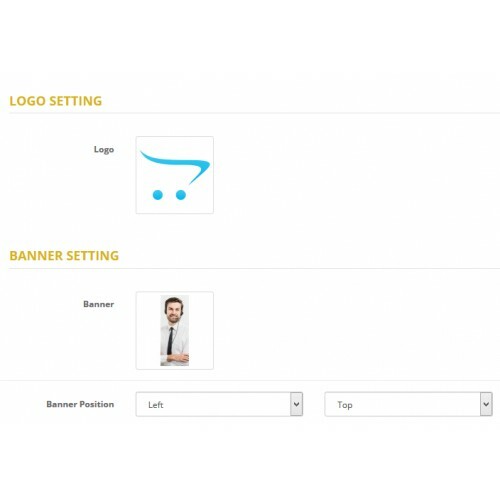 Quick contact allow admin to create email template for both customer email and admin email when someone submit the form using quick contact popup. 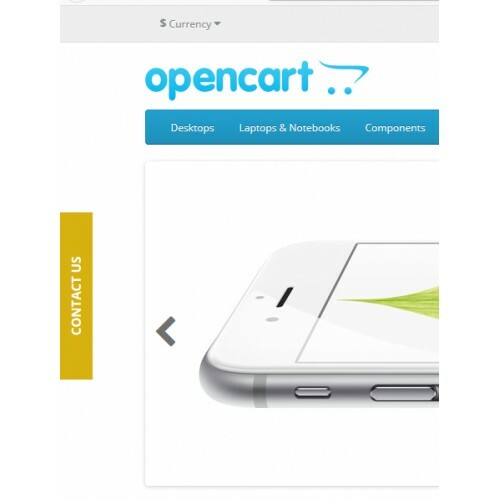 Extension is supported Multilanguage and Multistore and do not remove/overwrite any opencart core file. 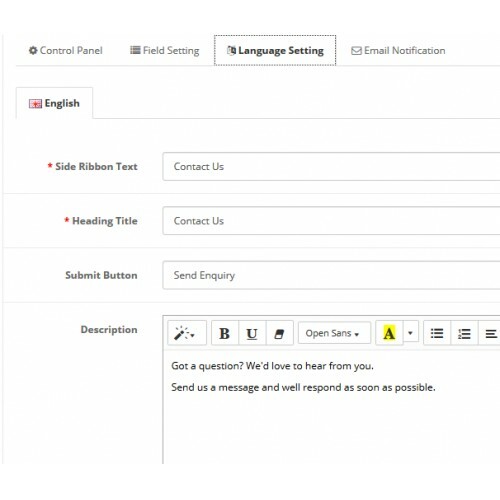 * Contact Form Fields Can Easily Enable/Disable From Admin. 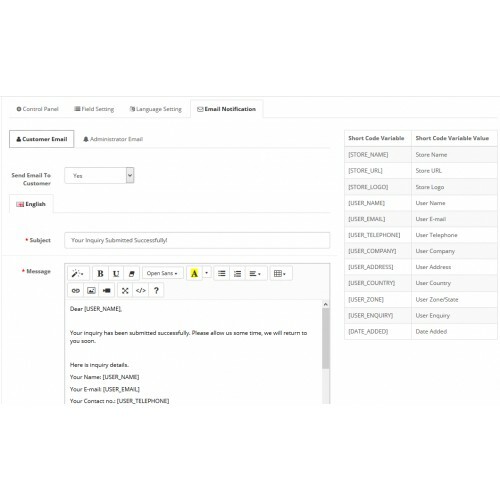 * Manageable Customer + Admin Mail Template.